One aspect of healthy aging that may be overlooked is social health. Although the importance of friends and family to our health is well understood by American Indians and Alaska Natives (AI/ANs), in today’s culture many Elders are separated from their communities and therefore from some of this tradition. These connections with our families and friends are incredibly important to our health and wellbeing as Elders. In 1989, the National Indian Council on Aging (NICOA) was awarded reserved funding specifically to provide Older Americans Act Title V services to AI/AN Elders. 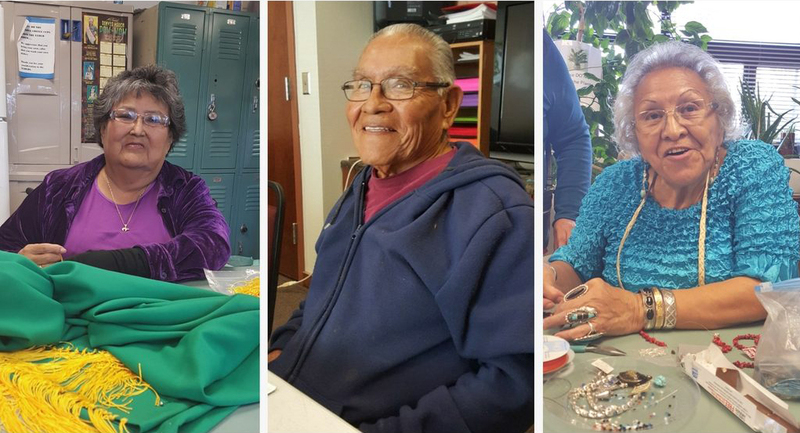 Since that time, NICOA has continuously been awarded reserved funding to serve as a national Senior Community Service Employment Program (SCSEP) set-aside grantee, serving AI/AN Elders across the country, in areas most in need of support. Today, NICOA administers SCSEP in 8 states: AZ, CA, MN, ND, NM, OK, SD and WI. NICOA serves in coordination with 17 other national grantees providing services in nearly all 3,000 U.S. counties and territories through state and national grantees. SCSEP is the only federally funded community service and job training program focused exclusively on serving low-income older adults 55 and older, in nearly all 3,000 U.S. counties and territories through state and national grantees. This article is a great article here with great information about the blood pressure, its reasons of causing and its prevention tips here are also very helpful for those blood pressure patients. You have always come with this type of very informative articles. I always got much and useful information from these. Everyone should read this article. Thank you and keep posting such more. Would be waiting for more stuff from your side.